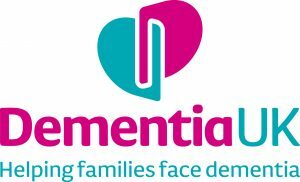 The Chapel House DRC works with Dementia UK to provide Admiral Nurses – a service that supports the carers of our community who have dementia. The focus of the service is to maintain independence and improve the quality of life for carers and families and to provide the practical advice they need. Admiral Nurses are registered nurses, and have significant experience of working with people with dementia before becoming an Admiral Nurse. We operate in our local community, helping people with dementia to stay at home for longer. We also work in other settings, including care homes. Admiral Nurses work in partnership with family carers and people with dementia. The Carer must be registered with a GP in and/or residents of the following locations within Cheshire West CH64, CH1 (Shotwick, Woodbank, Capenhurst & Mollington), CH66 (Ledsham) and South Wirral CH63 Bebington & Clatterbridge, CH61 Irby, CH60 Heswall. A service will be offered for those people who are diagnosed with dementia – regardless of their age. Please note that Service Users can be either the person with dementia or the carer.